The beverage manufacturing process can often be overwhelming without the guidance and support of experienced professionals. Whether it is concept development, beverage formulation, raw material purchasing, price reduction analysis, packaging, or beverage manufacturing; allow us to simplify the process by meeting your needs and presenting you with options and solutions. Upon your request, we are happy to have a personal consultant guide you through the manufacturing and fill process from start to finish. Outsourcing is a key component to our success and we strongly believe that this is what elevates our services above other beverage manufacturers. Our main priority is to deliver a superior product while offering full support throughout the manufacturing process so that you may focus all efforts on marketing your brand towards success. Your success is our success and we are committed to helping you throughout the process. We have dedicated our focus on building key relationships and proudly offer full support through our vast network of beverage professionals. Our network is reliable and a strong contributing factor that separates us from other beverage services. We have strived hard to build relationships in every area so that we can offer you guidance and support in any area of the beverage industry. Collaborate with our team of professionals and let’s take your idea to the drawing board to personalize your beverage concept. This phase allows us to perfect your vision, discuss ideas and identify your needs and requirements. We will walk you through price options and customize the perfect package to bring your concept to life. The next step is the formulation creation and flavor sampling process. This is one of the most crucial steps in the creation of your concept as we will define and essentially create your beverage. We look forward to providing you with the needed support whether you are creating a carbonated, non carbonated, functional drink or even a first of its kind new creation! 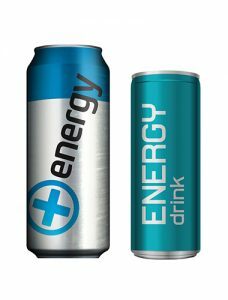 At the same time that the beverage is being formulated, the production team evaluates the use of aluminum cans, plastic bottles, glass bottles or any of the other types of beverage packaging available. Let’s work together and deliver a great first impression for your brand. Our in house design team is on standby to assist in your label and packaging design. This includes several components. The first of which was implemented in the Beverage Development stage which included beverage packaging and the label design. The second is the use of packaging including but not limited to the master carton, which could be trays, 4 packs, 6 packs, or 12 packs; counter displays, bottle design, design of lids and tabs, design of bottle caps, etc. Some beverages require all the bells and whistles and others follow the simpler route and use plain and basic packaging which still look top notch. Raw materials used for the production of beverages include the container, materials used for the packaging &amp; labeling, and all ingredients, flavors, water, sugar, juices, etc. Tracking the use of the raw materials, raw material storage and management of raw materials is all part of beverage manufacturing. It is important to only work with the best beverage manufacturers available as this can be the difference between success and failure of a beverage. Every beverage manufacturer has a specific manufacturing focus and are not capable of meeting all manufacturing needs. For example some beverage manufactures specialize only in aluminum cans, some only plastic bottles, some only glass bottles, some use only carbonation, some use a pasteurization process, some are capable of only filling certain size containers, etc. The Drink Ink has been dealing with all types of beverage manufacturers for many years and has a great deal of experience in selecting the best manufacturer for your specific needs.